In spite of the positive reports in UK, GBP is losing power against the USD. 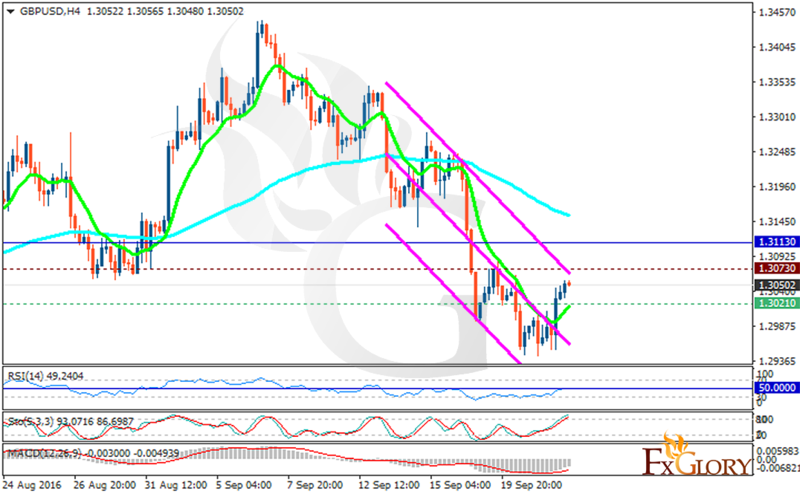 The support rests at 1.30210 with resistance at 1.30730 which both lines are above the weekly pivot point at 1.31130. The EMA of 10 is moving with bullish bias and it is located below the EMA of 100. The RSI is moving on the 50 level, the Stochastic has reached its maximum rate and it is showing upward momentum and the MACD indicator is in negative territory heading up. In terms of the price fall, sellers can target 1.2870 otherwise the pair will grow to 1.31 area. It all depends on Today’s Fed’s meeting.